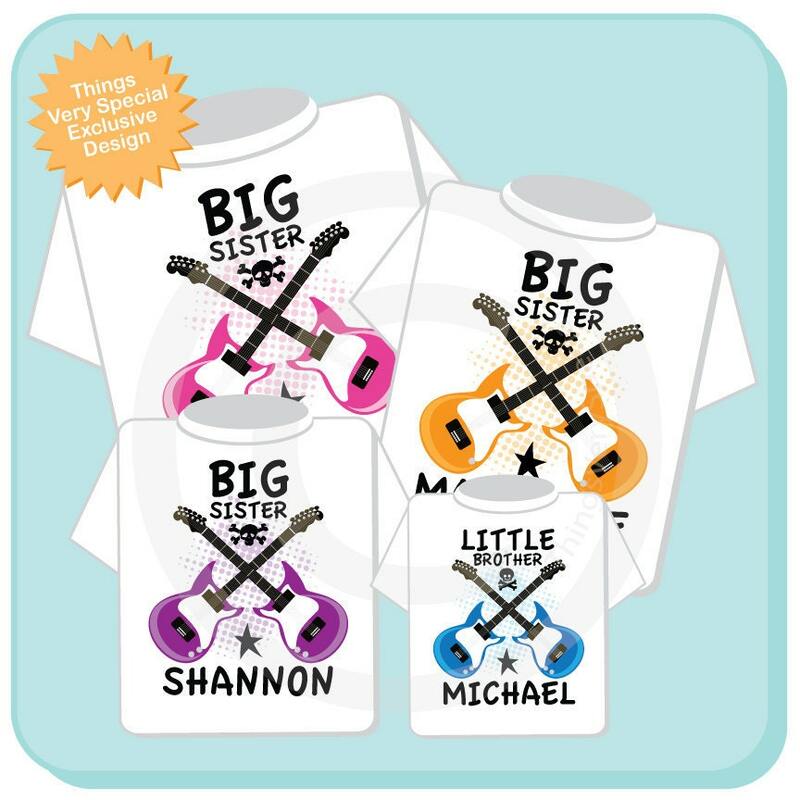 Super cute Set of Four Personalized Big Sister and Little Brother tee shirt with two crossed electric guitars. This set has Four different color guitar tees. Showing Three big sisters and one Little brother. If you need a different combination please contact me. Color of Guitar for each child. If you want the skull removed please state so in the notes as well. Although my shirts were cute, and shipping was quick; I was very disappointed with 2 things. 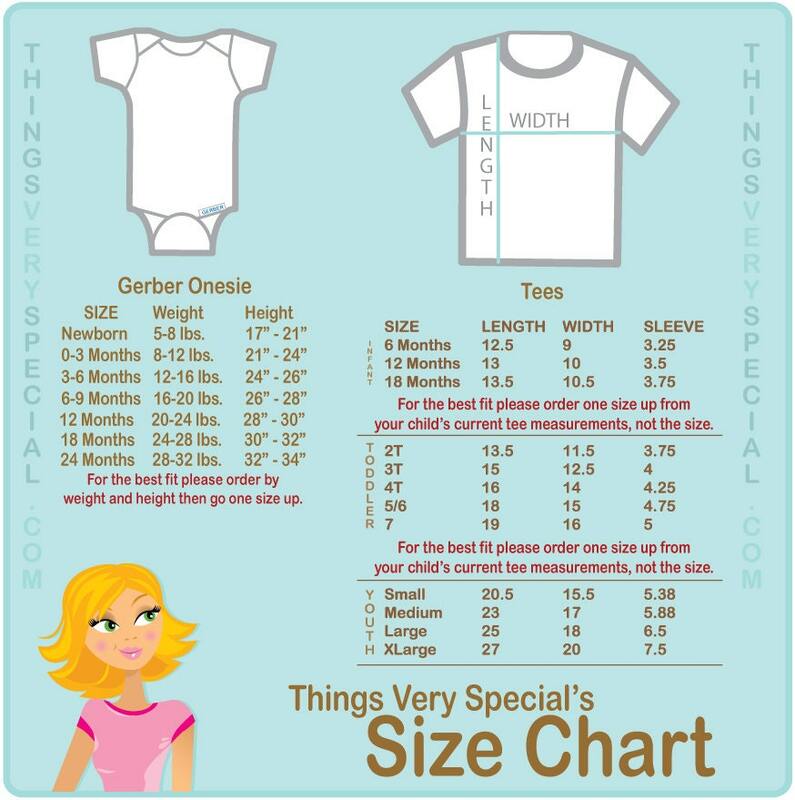 First, I followed directions and ordered shirts bigger because listing says they run small, and the shirts are still too small. Also I was disappointed in the fact they were iron on transfers. $55 is a bit much to charge for 4 shirts when you can buy a pack of iron on transfers for just $9.